Genetica 3.5 is the most powerful software for texture creation that I have tested so far. Discover why in this review. Genetica 3.5 is a texture creator and editor for professional 3D artists. Every graphic is created using nodes that are connected visually, and all the textures are seamless. 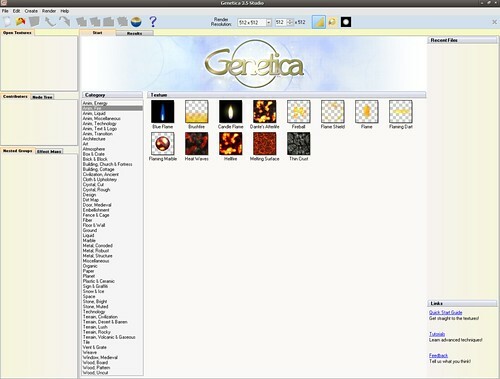 What makes Genetica 3.5 unique is the uncommon feature of making perfect seamless textures from a photograph. I have tested other software packages in the past that promised to do this, but the results were not good. Genetica makes PERFECT seamless textures from a photo, and even more, from a portion of a photo, with no borders, no blurred parts, and no fractal noise. It does this in a really simple and fast way, renders the texture at top speed, and allows you to export it in multiple file formats, with transparency or without it. In the interface, you can drag and zoom to check the texture borders and the seamless nature of the texture. No matter what photo you use, you can select a portion or the full image. 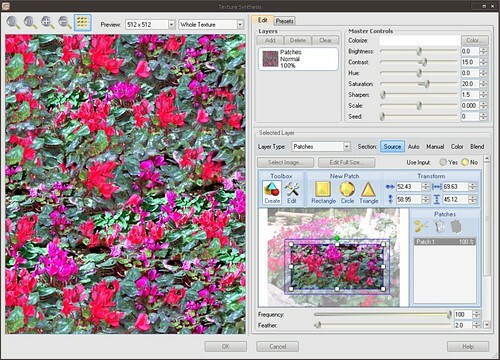 For example, I generated a texture from some flowers that were in the corner of a botanical garden corner, with perspective and other elements. No borders were visible at all, it generated a texture that was perfect for 3D. 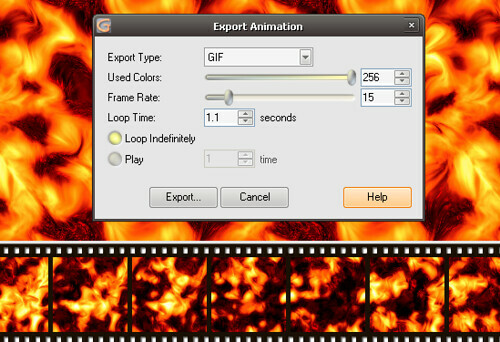 Even more, Genetica can generate textures that are animated, and export them in multiple file formats, like AVI and GIF. More features… It has a big library, that is perfect for everyday use and as a base of your own textures, because you can learn a lot on how are textures made. Every parameter of every component of the rendered textures is editable, and the dials are quite understandable, and the capacity to preview the changes in real time makes very easy to learn and adjust the texture’s appearance. You can also generate HDRI environment maps, like those that can be used in Poser and Daz Studio and other render applications. If you’re good at 2D graphics, you can draw them directly inside Genetica using its vector drawing tools. You can also edit and modify the existing ones in the library. There are also visual styles available, like in Photoshop. For 3D artists, Genetica can also generate bump maps, normal maps, and everything else that you need. You have also batch rendering of multiple textures and animated textures, and a maximum size that is more than enough, 3000x3000 to 6000x6000 depending on the edition you purchase. As all textures are rendered, they always have a perfect appearance, no defects. There are so many features (check them all here) for these things that one review is not enough to cover this awesome application, so I think I will do more in depth reviews, and maybe include simple tutorials about them. Genetica is being used by many 3D professionals to achieve stunning results. In their website, you also have plenty of resources to learn. 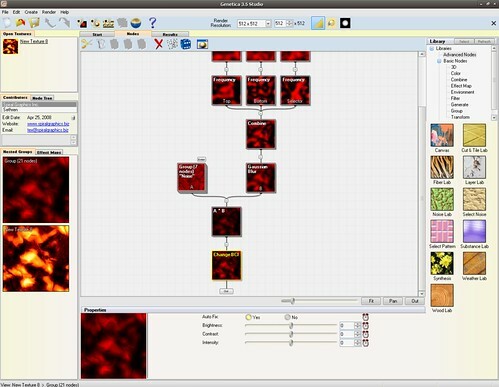 To summarize, Genetica 3.5 is probably the best software ever for texture creation and edition. It is available in 3 editions. The lesser, Basic Edition, has a limit for the texture size of 3000x3000, which is enough for most people, and is only $149 US. The other editions incorporate the exciting features of maps rendering, HRDI, animation of textures, animation presets, and a maximum size of 6000x6000 pixels. They are really worth the money for someone who is serious about 3D. Did my poking around the net and I'm starting to evolve into somekind of a Genetica expert. :) Its a great program. Buy it from Panzer Flakes Game Design Store at www.store.panzerflakes.com - they've got the best price on the market. This review was great and helpful. I haven't used Genetica so far but based on this review I've found it awesome. Looking forward to try Genetica.